Bengaluru, Oct 13, 2017 : The state government has initiated the process of bringing high school education and pre-university under one wing, a full five years after a government-appointed committee recommended doing so to provide barrier-free education for students. At present, high schools comprising Classes 8 or 9 till 10 come under the Department of Public Instruction whereas pre-university is under the Department of PU Education. It is argued that this division breaks the continuity required for students to reach higher education. For starters, as part of the integration, the authorities are looking to simplify the process of starting new schools having Classes 1-12 by introducing a single-approval regime. “Right now, a school with Classes 1-12 needs approval at three stages: primary education directorate, secondary education directorate and PU directorate. We want to have a single approval based on the highest class that is offered. For example, a school offering up to Class 12 will require approval only from the PU director,” Commissioner for Public Instruction P C Jaffer said. Chief Minister Siddaramaiah, in the 2016-17 budget, had announced the formulation of an action plan to bring secondary and PU education under a single administration. But Jaffer pointed out that the plan to merge the two predated the budget announcement. It was in 2012 that a committee headed by former National University of Educational Planning and Administration (NUEPA) vice-chancellor R Govinda recommended doing away with the title of ‘pre-university courses’ for Classes 11 and 12. “Pre-university is neither under secondary level nor under degree level and hence is in an unsettled state. The age group between 16 and 18 is susceptible and in fact should be a part of school education such that they could be moulded into responsible individuals (sic),” the committee observed. The government is also keen on holding SSLC and PU final exams simultaneously. 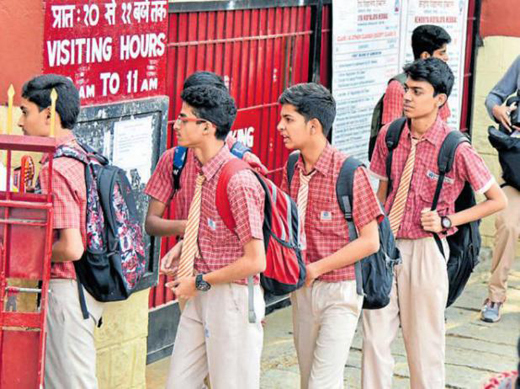 “Around 16 lakh students takes for the exams and the entire process goes on for 40-45 days. We want to hold them together — one day SSLC and the next day PU — and bring it down to 20-25 days. This will enable faster delivery of results and smooth conduct of exams,” Primary and Secondary Education Minister Tanveer Sait told DH recently. But merging high school and PU was easier said than done. “We’ve already had meetings with officers on how to go about it. A big problem area will be managing teachers’ workload. It needs more deliberation,” Jaffer said.